The Coquette. This superb colorful cocktail, named The Coquette, was featured last week on ABC Good Morning America’s website. Its author is Darryl Robinson, a passionate for innovative gourmet cocktail-making, living in New York, who’s the host of Drink Up, at the Cooking Channel. Darryl is best known as Dr. Mixologist. This cocktail proves why. I loved the name The Coquette and because of that I chose to shoot these pictures on a piece of handmade bolillos lace (encaje de bolillos) bought in Bruges, Belgium, a couple of years ago. 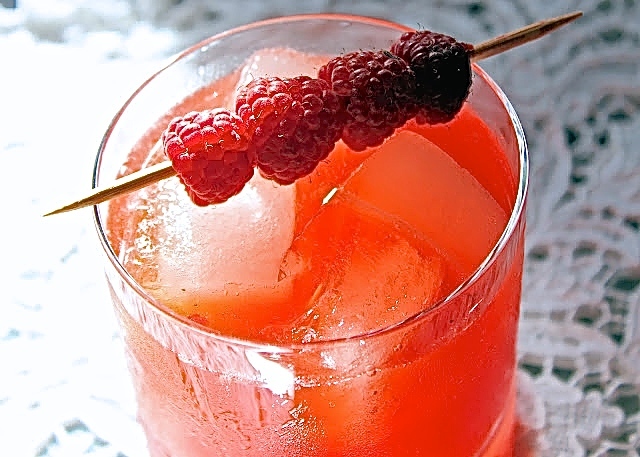 Muddle the raspberries and shake with the rest of the ingredients. 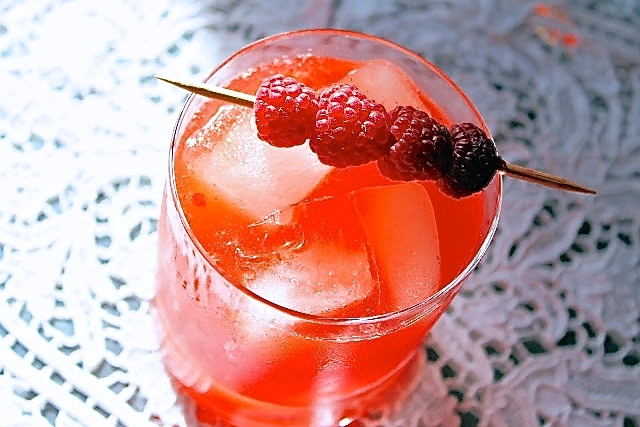 Pour in a short glass with ice cubes. 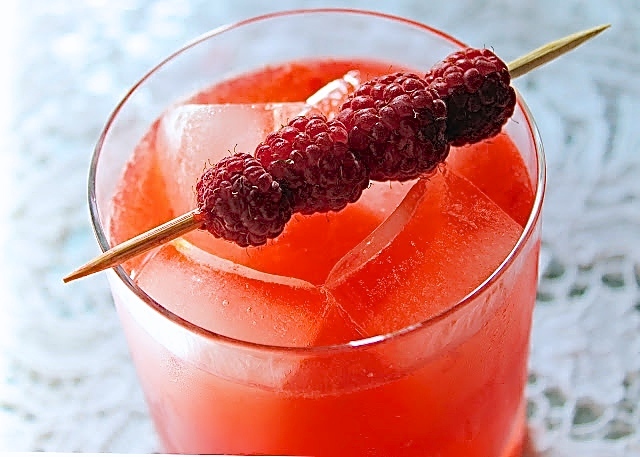 Garnish with a raspberry skewer. 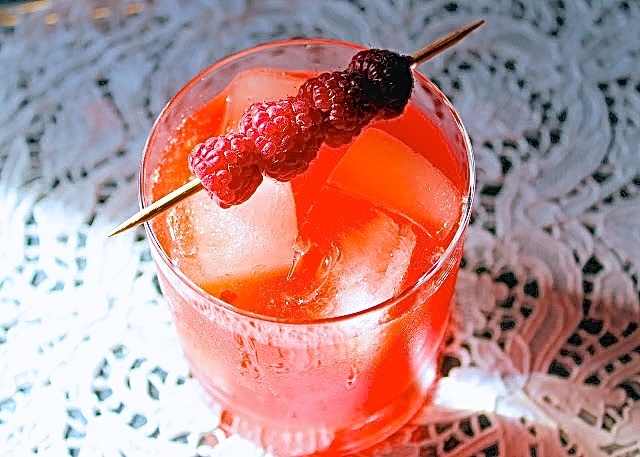 Thank you for saving and sharing this The Coquette cocktail recipe on Pinterest.